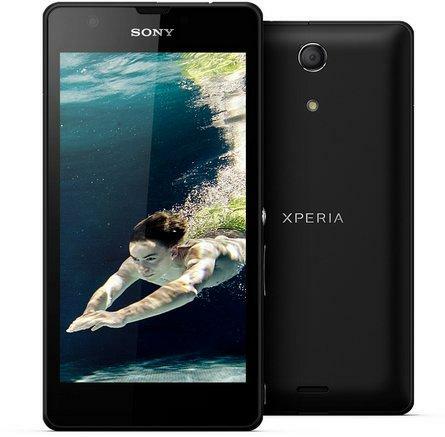 Sony’s ratcheted up its water-resistant device tech a notch with the launch of the Xperia ZR, a new 4.6-inch, 720p Android smartphone that’s waterproof to 1.5 meters (5 feet). Sony boasts that its new device will let you film your snorkeling adventures in full HD quality, with HDR in both video or 13-megapixel stills thanks to the Exmor RS image sensor — there’s also a dedicated camera button like the one on the Xperia ZL. The handset packs a Snapdragon S4 Pro quad-core 1.5GH CPU, 2GB RAM, LTE, NFC, Sony’s Walkman album and movie apps and a notable OptiContrast OLED screen with Bravia tech to reduce glare “even in bright sunlight.” There’s no word yet on pricing or availability, but as soon as we hear more, we’ll try to prep you ahead of that next beach-bound holiday. Meanwhile, you can check the galleries, PR and video after the break for more. Update: As Xperia Blog found out, the Xperia ZR is actually the international version of Japan’s upcoming Xperia A SO-04E — the one we saw popping up in the FCC database. Posted by Khurram Mirza on May 14, 2013 in Android, Camera, Google Tech News, MOBILES and tagged 1080p, Exmor, National Football Conference, Snapdragon (system on chip), Sony, Walkman, Xperia, XperiaZr. Hey there, thanks for checking out my blog! Now, what can I tell you about myself.. Well, I am a Sales Professional by trade, now earning an residual income online. I’m from Lahore, PAKISTAN ; which is frequently called “The City of Parks” – PAKISTAN is the most beautiful country and worth seeing . It’s a great place to grow up, and it’s still a place I call home. I start blogging and choose technology as topic and try to update myself with latest news and gadgets, I hope you will like my Blog and appreciate me in this regards. I love educating myself about what is going on in the world, and tend to ask big questions about the universe, time, and reality.